In a global economy with overwhelming choices, competition, and content, powerful writing is essential for the performance of your business or organization. To attract and retain customers, companies must create marketing materials in a variety of mediums ranging from articles and brochures to social media posts and email campaigns. And in an era of declining editorial standards, this content must be error-free to maintain the trust and loyalty of customers. Walsh Professional Writing consistently exceeds expectations by providing persuasive copywriting, error-free editing, and precise translations to clients operating around the world in a variety of industries. A cohesive, mistake-free marketing campaign can set you apart from your competitors; trust Walsh Professional Writing to deliver the content that will put you on top. You need copy that sells, and we can provide it. Whether we're working on blog posts for a tech startup, email campaigns for an international airline, or advertising copy for a coffee vendor, we create content that motivates readers to make a purchase. Our satisfied clients come back again and again, confident in the product we provide and its impact on their bottom line. Here's just a small sample of some of our previous campaigns. For more information, check out the devoted Copywriting page on this site. In many cases, the narrative surrounding your product is as important as the product itself. Our blog posts help the reader imagine themselves using your product, creating stories in which the customer is the main character. We've shown readers the attraction of flying to Finland for AirBaltic, how to find adventure in Florence for Explore Italy Tours, and the advantages of Exit Intent technology for MaxTraffic. We work hard to meet your goals by incorporating SEO keywords while maintaining a friendly, readable style. Capturing a customer's email address allows you to stay fresh in their mind, drawing attention to major events and reinforcing your brand identity with every new message. We keep the copywriting for our email marketing crisp, creative, and concise, ensuring that your messages don't end up in the Spam folder. 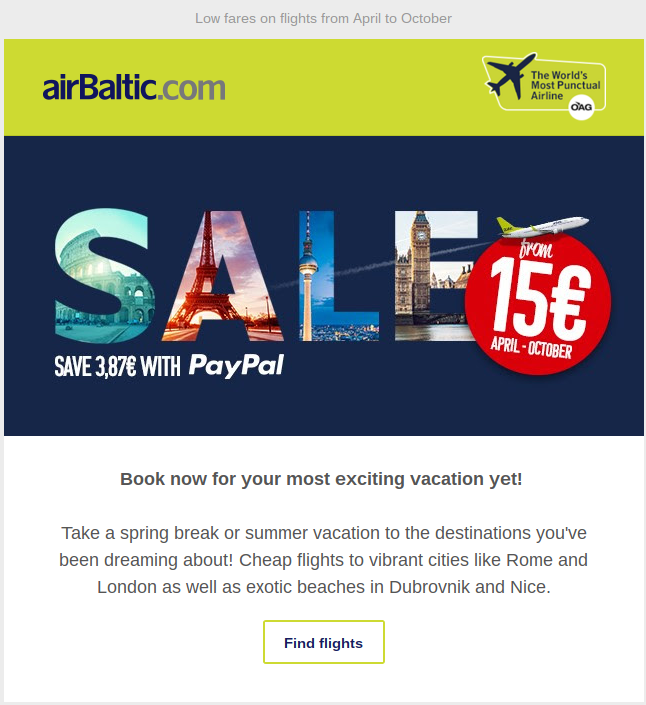 Walsh Professional Writing has provided dozens of unique email advertisements for AirBaltic and MaxTraffic, delivering a comprehensive marketing package on a consistent basis. Newspaper and magazine advertising is precious real estate, with limited space to deliver your message to thousands of readers. Working hard to understand your product and your audience, we choose every word carefully to convey the advantages of your business and convert readers into customers. Every product has something to say. We help your products speak by demonstrating their features and benefits in simple, appealing descriptions. Our copywriting tells the reader exactly what value they'll draw from your product, allowing them to imagine physical objects in their hands or services at their disposal. We are proud of our ongoing relationship with Graybar; we provide product descriptions for their online store on a regular basis, giving a friendly, informative face to their datacomm products. Your website is arguably your company's most important marketing element. A thoughtful, well-designed website can serve as a brand ambassador, salesman, press secretary, and customer support specialist, providing everything your customer needs in a neat, appealing package. We deliver website copywriting that holds up its end of the bargain, providing content that is easy to read and simple to understand, regardless of the complexity of your product or message. 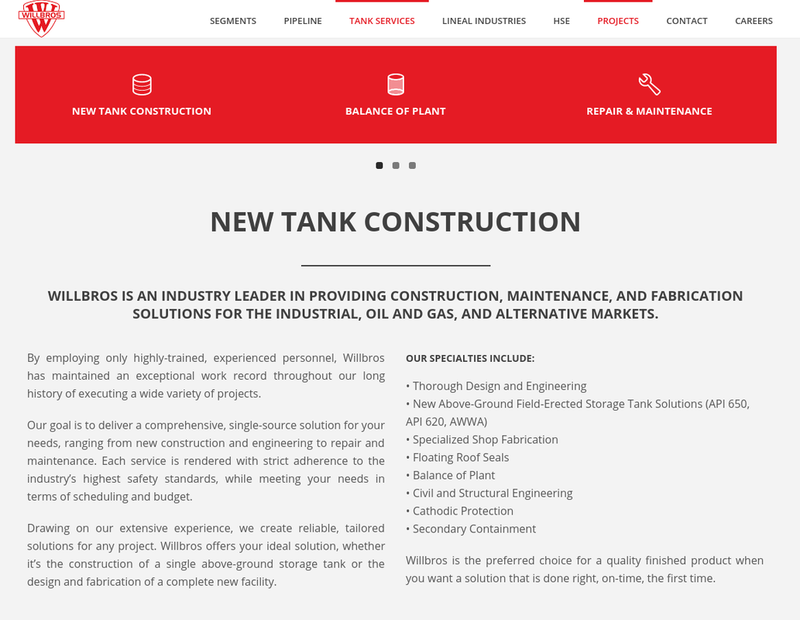 Our work for Willbros, a Fortune 1000 company in the Oil and Gas industry, demonstrates our ability to simplify complicated topics for effective website copy. As the internet makes it easier for local companies to sell their goods and services across borders, it is more important than ever for international businesses to invest in impeccable translation services. However, the rise of Google Translate has been matched by an equal rise in shoddy translations, with the ensuing mistakes becoming fodder for memes and Buzzfeed posts. An inaccurate or awkward translation is the fastest way to cheapen your brand in the eyes of an international client. Walsh Professional Writing takes the responsibility of translation seriously, which is why we only offer translations that can be properly reviewed by a native English speaker. Working with highly-trained translators in three languages, we meticulously proofread each assignment to ensure that it appears as if it were written by a native English speaker. We preserve the original intent of your content while injecting elements of English style to avoid any hints of awkwardness. Improving your company’s English offerings will raise your standing in major American, Australian, British, and Canadian markets. As the international language of business, proper English translations are an indispensable aspect of your marketing and communications. Are you a German company looking to make a splash with new advertisements in Canada? An Austrian business that needs to craft a newsletter for American clients? Do you finally want to take the plunge with an English-language version of your website? Walsh Professional Writing offers German to English translation services that you can rely on. Our translators are highly trained, with degrees from top international universities. We use a two-step process for our German to English translations: first, we create a precise translation of your original document, ensuring that the intent of your content is maintained with complete integrity; then, we pass the translation over to our expert English proofreaders to smooth over any awkwardness. The final product is an English translation that you’re proud to show off; your readers will never know that it was originally written in a different language. Embracing the fast-moving culture of tech companies and startups, Latvian companies are finding more and more success in international business. However, these companies’ English materials don’t always keep up with their other innovations. 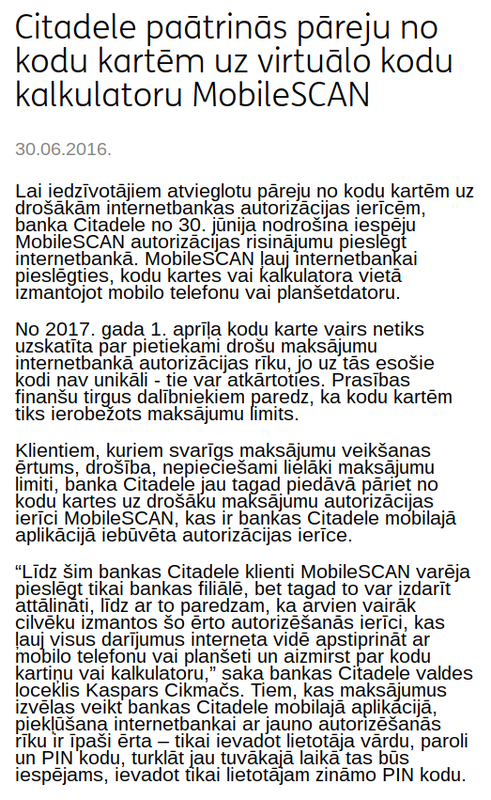 Why be held back by something as simple as a good Latvian to English translation? Walsh Professional Writing has been praised by clients for beautiful, accurate translations that allow international businesses to communicate effectively throughout the world. 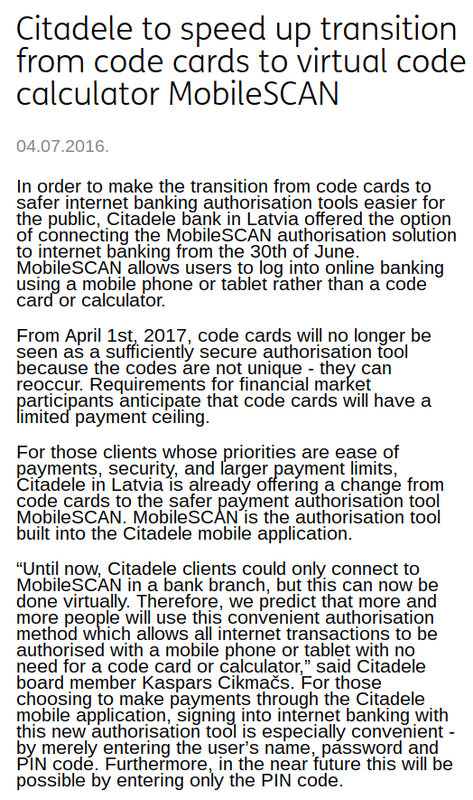 Our largest Latvian to English translation client is Citadele, a major Latvian bank with branches in Estonia, Latvia, Lithuania, and Switzerland. Walsh Professional Writing oversees the translation of their internal communications, press releases, and other documents, guaranteeing that their progress is chronicled in English that suits the success of their business. If you’re ready to make an impact in the English-speaking marketplace, trust Walsh Professional Writing for your Latvian to English translations. Our collaborative, detail-oriented process allows us to deliver your finished project on time and on message; we’re sure you’ll be satisfied with the results. The global marketplace is ripe with opportunities for Spanish products targeted for English-speaking clients. Let your product or service speak for itself by giving it a precise and professional English voice. While the market is still littered with clunky Spanish to English translations, forward-thinking companies have the opportunity to take a step ahead by perfecting their English marketing materials. The Walsh Professional Writing team is highly educated and experienced, offering accurate translations at an efficient pace. Our rates for Spanish to English translation are unmatched, offering a unique and beautiful translation at a fraction of the cost of overpriced translation firms. Contact us to get started on your next translation project, and we’ll deliver a better product for a lower price. There is simply no substitute for perfection. We recognize the importance of your reputation in business and public service, which is why we provide copyediting and proofreading services to organizations ranging from non-profits to corporate entities to government offices. Walsh Professional Writing takes the time to ensure that every comma is in place, every word is spelled correctly, and every sentence is properly formatted. Mistakes are easy to make; the impact on your reputation is difficult to overcome. 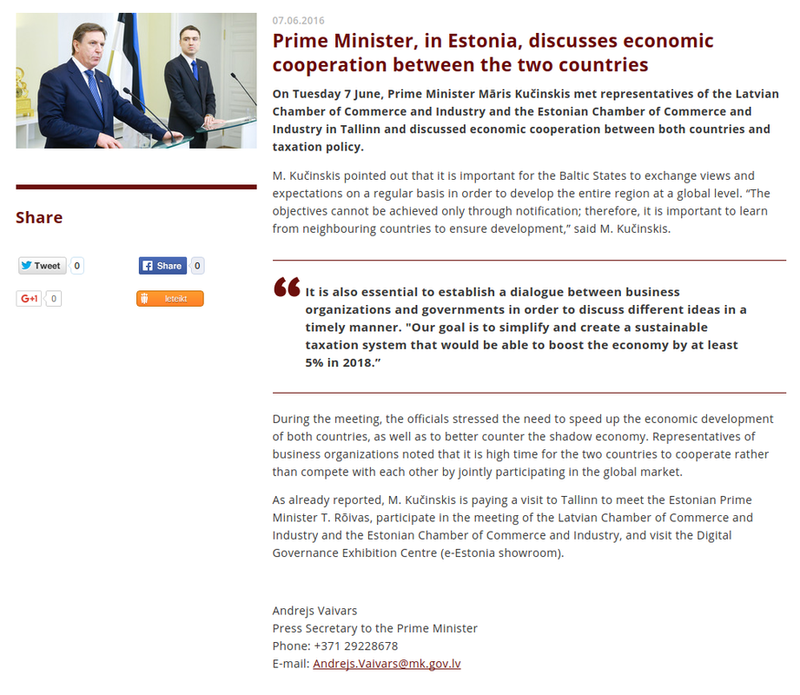 One of our most prominent proofreading clients is the Cabinet Ministry of the Republic of Latvia. Working on behalf of Prime Minister Māris Kučinskis, we provide fast and accurate editing services on press releases, speeches, and other important English documents. As a member of the European Union, NATO, and other prominent international organizations, it is essential that the Republic of Latvia represent itself with flawless English. Walsh Professional Writing upholds that responsibility. We pride ourselves on maintaining open communication with clients throughout the proofreading process; this method enables us to edit not only for grammar and punctuation errors, but also for issues of style, sourcing, and mechanics. Our editing process allows us to return a finished product that is both devoid of errors and a more powerful piece of writing. ​Let's get started. You're just steps away from your new marketing campaign. To develop your new content, contact Walsh Professional Writing via the form on this website, by phone, or by email. We offer free consultation and develop individual packages tailored to the needs of each client.